The future belongs to biotech products. Today, biotechnology is an innovation driver for key industrial sectors that WACKER supplies with products and applications. The potential is great. The biologics market alone is expanding at projected annual growth rates of around 9 percent. 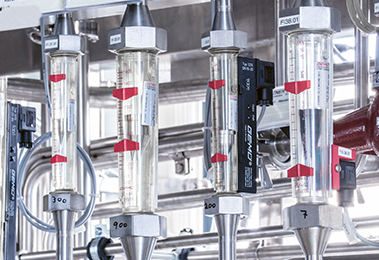 WACKER’s first line of biotech products saw the light of day in the early 1990s: cyclodextrins – ring-shaped sugar molecules produced in bioreactors were initially used in medicines, for stabilizing active ingredients and improving their solubility. The first products were heartburn tablets, eye drops, nasal sprays and mouthwashes. A little later, an entirely new application area opened up for the sugar molecules, namely textiles. In this application, cyclodextrins even made an appearance on German television in 2001. Here, a farmer was seen mucking out his stables wearing a business suit; the same suit was then worn by a refuse collector emptying garbage cans; and, finally, sprayed with liquid manure. You could throw almost anything at this treated garment and it wouldn’t harbor smells, they were mopped up by the cyclodextrins. Since then, the number of application areas has proliferated. Today, cyclodextrins are used as additives in face and body care products, as fat-free emulsifiers in foods, as carriers for pharmaceuticals or as odor-masking agents in household cleaners. Cyclodextrins from WACKER became known throughout the world under the trade names CAVASOL® and CAVAMAX®. 2010 marked a turning point. The fine chemicals division became the biotech arm – with WACKER FINE CHEMICALS being renamed WACKER BIOSOLUTIONS. A small part of the traditional fine-chemicals business remained, but the focus for the future has changed to biotechnology. The new name says it all. “BIO” stands for the goal of continuing to expand the innovative biotech products and processes that WACKER has developed with almost 30 years’ experience. “SOLUTIONS” indicates that WACKER offers its customers not only individual products, but increasingly also customized and innovative end-to-end solutions. Cyclodextrins consist of glucose units bonded together in the form of a ring. The sugar molecules have a cavity in their interior. They can capture other molecules and retain them. When it comes to developing new applications and products, WACKER BIOSOLUTIONS primarily focuses on the target markets of pharmaceuticals, food and agriculture. This includes the natural amino acid cysteine, which WACKER produces in a patented fermentation process that it developed itself. The food industry uses cysteine in the manufacture of flavorings or as an additive in baked goods, while the pharmaceutical sector relies on the amino acid as an adjuvant in expectorants or to produce insulin, for instance. Another specialty of WACKER BIOSOLUTIONS is the contract manufacturing of pharmaceutical proteins via microbial systems. Polyvinyl acetate solid resins, fine chemicals and complex organic building blocks for synthesis round out the portfolio. WACKER BIOSOLUTIONS sales totaled some €227 million last year – a rise of 10 percent on the previous year. Alongside specific smaller acquisitions, WACKER BIOSOLUTIONS’ priority for the coming years is strong organic growth. 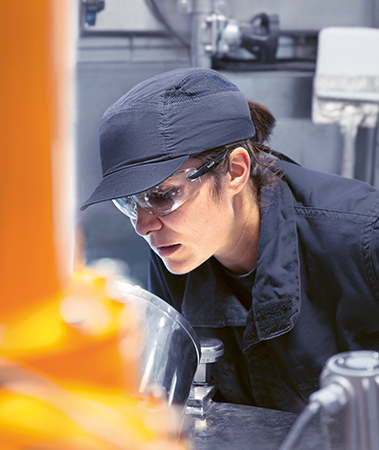 WACKER operates 24 production sites around the world. Seven of them belong to the WACKER BIOSOLUTIONS network – from Eddyville in Iowa, USA, to Burghausen, Jena and Halle in Germany, and Nanjing in China. In 2018, the business division expanded its global value-creation network with two further production sites at León in Spain and Amsterdam in the Netherlands. At its technical competence centers, WACKER develops tailor-made products and applications for its customers. In order to find solutions for every market that meet local requirements, the technical-center network spans three continents – from Adrian in North America to Burghausen in Europe and Singapore in Asia. The division’s fourth technical center will soon be opening in Shanghai and will focus specifically on food. The number of WACKER BIOSOLUTIONS employees has risen steadily over recent years. Since the division’s restructuring in 2010, the workforce has almost doubled. With the acquisition of the production site for biologics, live bacteria and vaccines in Amsterdam in the Netherlands, staff numbers rose by around 110 in 2018 alone. WACKER BIOSOLUTIONS now employs a total of almost 700 people.